A Commercial Vehicle Wrap is a mobile billboard, promoting your business/cause effortlessly every day. The focus here is to get your business name, contact, and services displayed legibly and boldly! 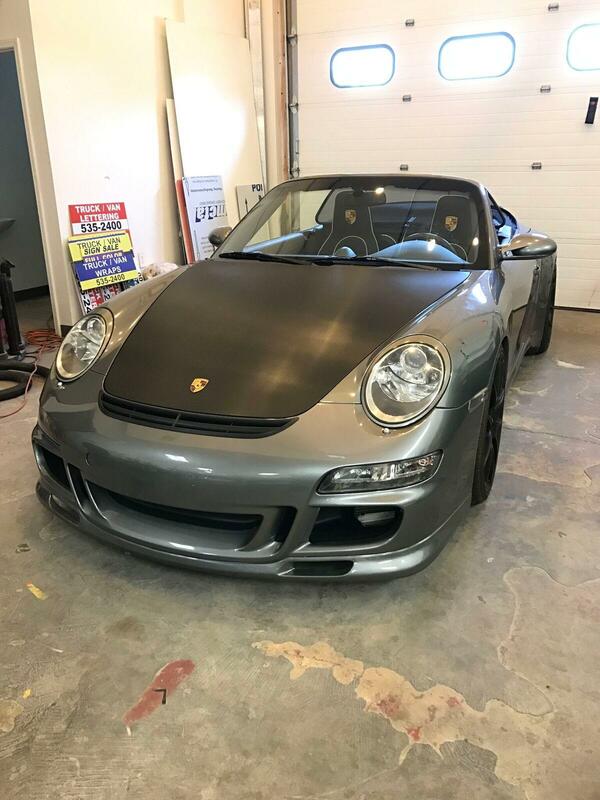 A Color Change Wrap adds a whole lot of style to your ride. The attention to detail on these are key- with the goal to make it look like paint! The best part- you can remove and recolor! 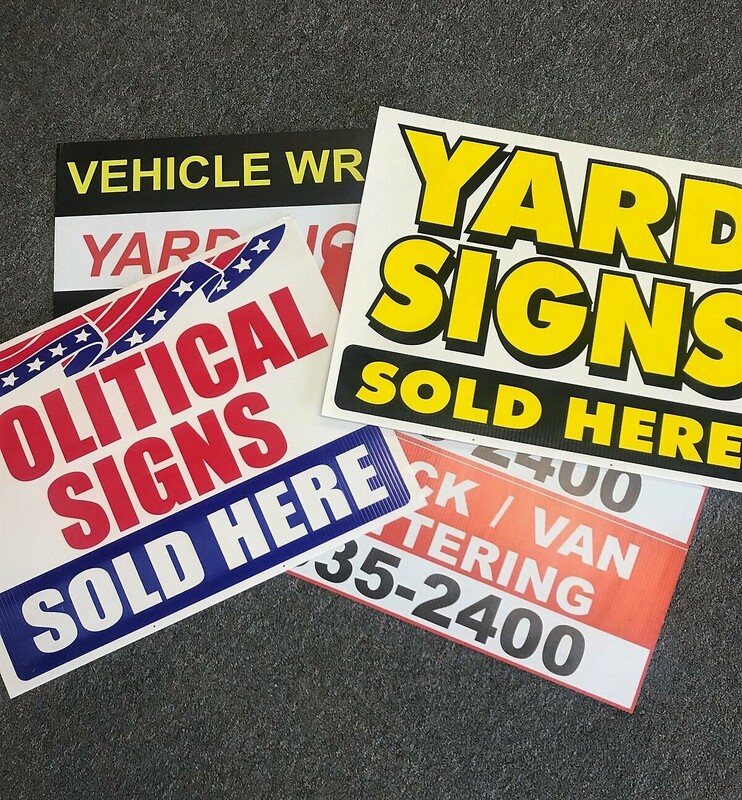 Vehicle/Trailer Graphics are an economical way of displaying your company information by utilizing the existing paint as the background canvas. 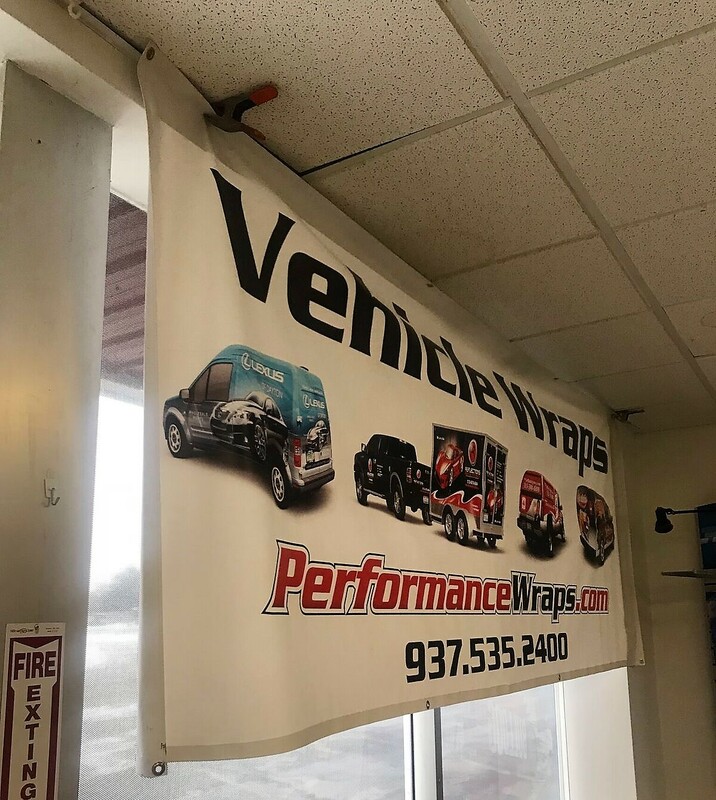 Patrail Wraps are a great way to make you vehicle stand out! 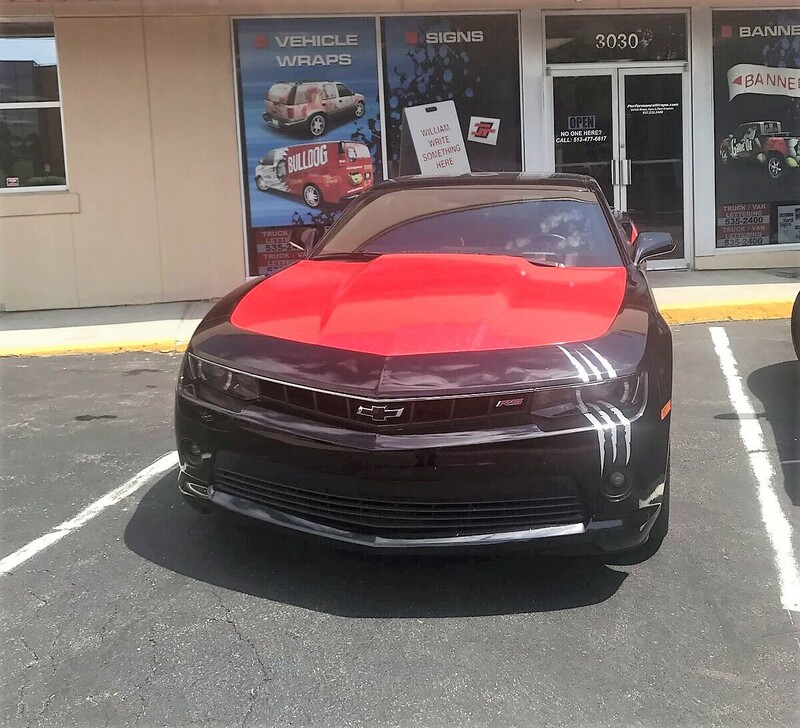 Add racing stripes, just the spoiler, or any accent you want to add a little character to your vehicle. 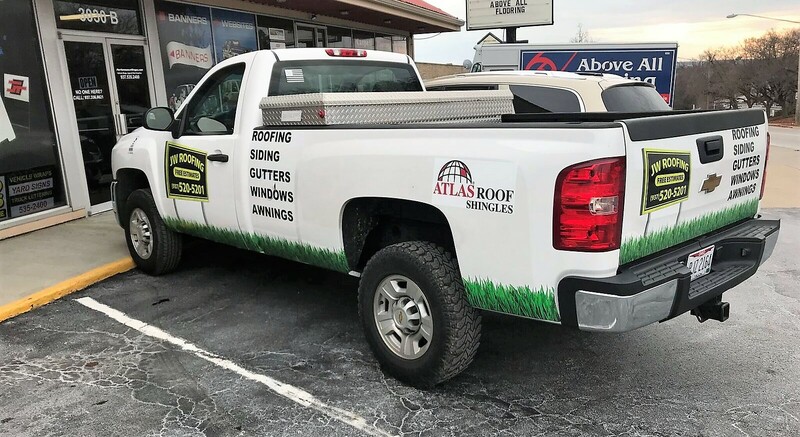 Window Perf (also commonly used on vehicle back windows) is a great way to get full-color advertising with the ability to see through it from the inside. 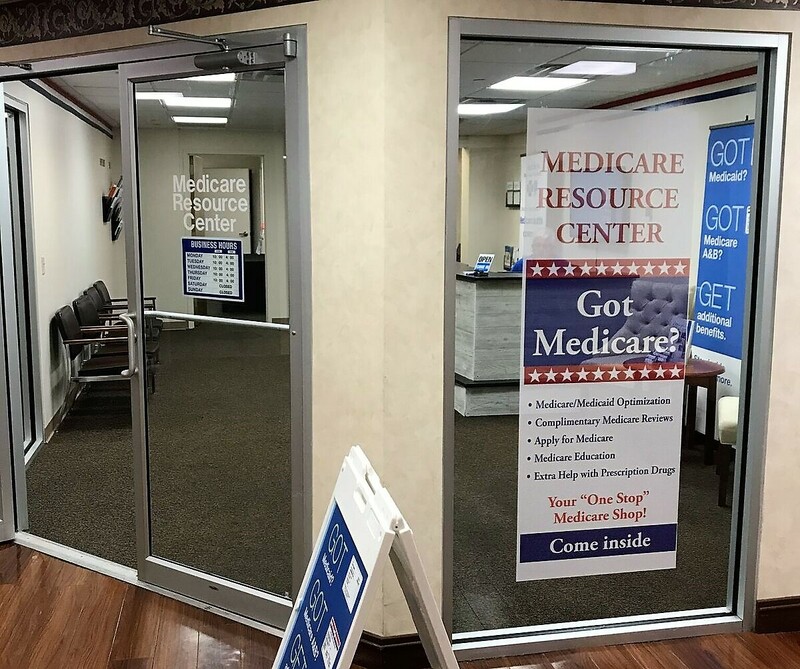 Banners are a durable outdoors/indoor way of advertising with multiple hanging options because of the grommets around the border. Yard Signs are a great way to advertise after a job well done. The original form of advertising! 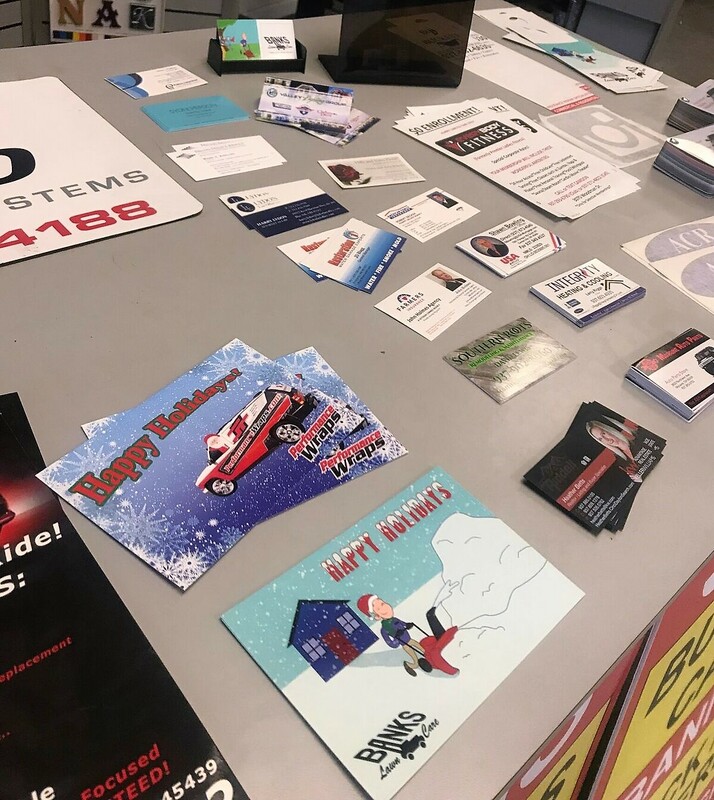 business cards, postcards, door hangers, etc.